Legal Services NYC, the largest organization exclusively devoted to providing free civil legal services in the United States, with neighborhood offices in every borough of New York City is made up of passionate attorneys and staff who provide their clients — single moms, workers with disabilities, seniors, and others — with a comprehensive approach to solving their legal problems and getting them back on their feet. 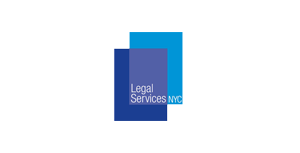 Legal Services NYC provides high quality free legal help on cases involving housing, family, domestic violence, public benefits, income tax, employment, education, consumer rights and economic development. In addition to this they help the most vulnerable people in our society — children not receiving their child support, victims of domestic violence, people with AIDS and HIV and elderly citizens facing eviction and unsafe living conditions. Since 1967 the organization helps thousands obtain benefits they are entitled to and preserves families and homes. Which System Environment Do You Use? Our current mail environment consists of Exchange 2003 and 2010 with a total of six servers and two spam filtering appliances. We are in the final stages of removing our 2003 environment from the mix, which will bring our total number of servers down to four but still leave us with about 600 users and over 1.5 TB of data to manage. With our resources changing with the economy, several of our policies needed adjustment as well — email usage, backup schedules, retention/­destruction periods, and storage quotas, etc. This led us to our search for a mail archiving solution. When and Why Have You Decided to Look for An Email Archiving Solution? Our Exchange 2003 environment was growing very rapidly as 400 staff members (300 lawyers and paralegals) and 250 legal volunteers increased their use of email for internal and external collaboration, communications with clients and communications with opposing parties. With no archival solution for email, users were simply retaining their email in their Exchange mailboxes. The rapid growth of our Exchange environment created many problems. First, it reduced the speed and performance of the system for our users. Second, it made backing up the Exchange environment very difficult because it had to be done overnight and we had a hard time completing the backups within our backup window. Third, it made retention of the Exchange backups very expensive because each backup set was so large. With Exchange data stores exceeding a terabyte of data, we decided that we had to move to an archiving solution and retain only current data in Exchange but give users online access to their email archives. At the same time we knew we needed to upgrade our Exchange 2003 environment to Exchange 2010. How Did You Compare the Vendors on Your Short List? We wanted a system that our in-house technology department could deploy and maintain. Furthermore we wanted one with simpler administration requirements and an easy end-user interface that would ideally integrate directly in to Outlook 2003/2010. We do not have a dedicated technology training resource and did not want to increase the demands for training on our help desk staff. The archive itself needed to allow us to setup accounts to be either opt-in archiving and archive everything as it comes in or as it leaves the mail server. We needed to be able to replicate the archive and to run it from our disaster recovery data center when needed. How Did the Roll-out Work and How Was Support during this Time? We started with a small roll-out to select people in our organization and then moved onto the entire IT department. We are ­continuing to roll-out the solution on an office to office basis. Since our tech department is small and we have limited resources, rolling out in stages helps us with training staff on the use of MailStore and control the flow of support requests. The software works well and the documentation is quite excellent. As a result, we have not had to use MailStore‘s support much during the setup or deployment. What Are the Major Advantages that You Experience after the Introduction of MailStore? Not only has Exchange’s performance improved but so has the user’s experience when using Outlook. With archived emails being stored and compressed on slower, inexpensive disks, we have been able to save money as well. Another advantage for us has been the feature to prevent users from deleting archived emails. As you can imagine, that saves us time in having to recover an email from backup. We would recommend MailStore as a solid email archiving solution. The installation was a breeze and I was very impressed with their documentation. The product itself is extremely flexible and it is easy for our staff and volunteers to use and for our IT department to administer. Mr. Greiner is leading the planning and development of services that will increase the level of communication, resource sharing, and collaboration between our offices and with sister organizations across New York and the nation. 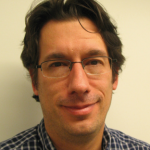 Prior to joining Legal Services NYC, Mr. Greiner led the Illinois Technology Center for Law in the Public Interest. Mr. Greiner has also served as the Director of Regulatory Review for the U.S. Small Business­ Administration, as a staff attorney and technologist for Legal Services Organization of Indiana, Inc., and as a legislative aide at the state and federal levels for Wisconsin representatives. He holds a B.A. and J.D. from the University of Wisconsin School of Law.